The RX7 was essentially a cut back version of the monster that was the RX5. It had all the features of the RX5 apart from the individual level sliders and multiple outputs. It also didn't carry the obscene price tag of the RX5 which would have set you back about $1200 in 1987! 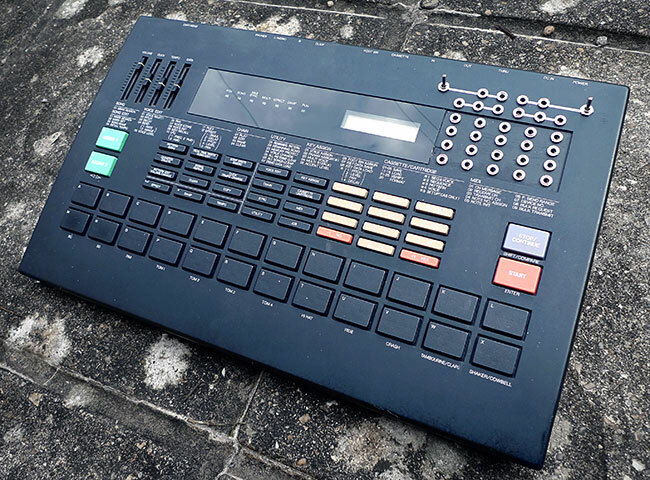 The RX7 features 99 sounds including some vocal phrases, all in typical 12 bit yamaha late 80's digital quality, which would probably only be usable for retro electro or industrial tracks if it wasn't for the extensive programming possibilities that let you mangle the sounds with pitch, decay, bend, delay and LFO paramaters. The fact that there are actually 24 drum pads on the front panel is also a major bonus. 20 way main patchbay: More information and details of our patchbay mods can be found HERE. 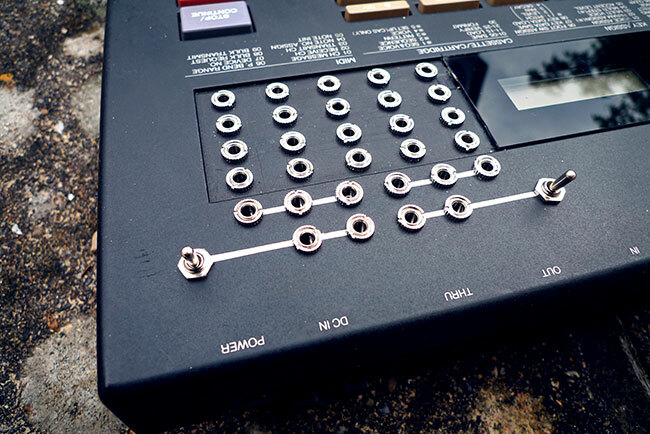 The RX7 patchbay responds a little differently to most circuit bent drum machines. When patchbay connections are made on the RX7 you find that at least 60% of the sounds are disabled, but the ones that remain are transformed into alien effects like we've never heard before on a bent drum machine. Make a different connection on the patchbay and a different set of sounds are disabled but again, the remaining sounds morph into bizarre digital shimmers and cold percussive hits that are both totally unexpected and unique. Remove all the patch cables and the machine responds as normal again. This machine is a little more difficult to use that a normal circuitbent drum machine but its well worth the effort. 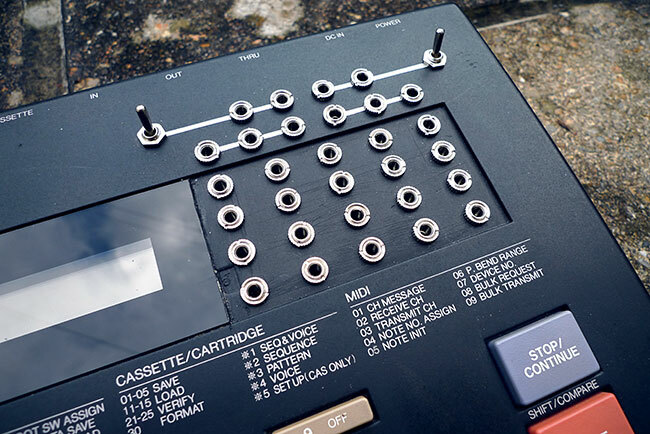 On a normal bent drum machine we'd usually program a pattern and then process it with the patchbay but with the RX7 you have to set up your patchbay connections first to get the sounds you have available sounding as good as possible, and then write a pattern around those sounds. This usually comes up with some excellent loops as you can hear from the demo's below. Heres another demo on Soundcloud. if you want your RX7 modded get in touch using the CONTACT form.